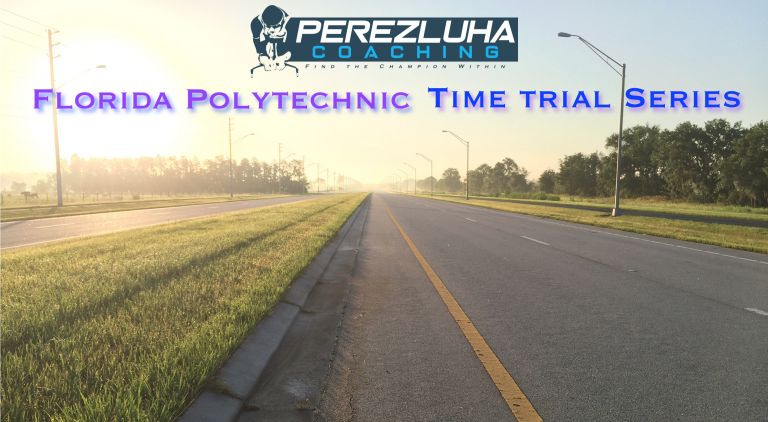 Florida Polytechnic Time Trial Series 2019 dates have been posted!! The Florida Polytechnic Time Trial Series is back for 2019!!! Come out and test yourself against the clock on one of the finest time trial courses in Central Florida! This unique time trial series will feature a structured warm up with pacing and a motivational talk with coach starting 1-hour before each time trial. Events will take place on select Saturday’s between February-October, 2019. This is a perfect training opportunity to learn valuable warm-up strategy which will help you to perform your best for each time trial. Whether you have a time trial bike or road bike, this 8 mile course will also serve as a perfect 20 minute power test location. There will be an optional endurance-tempo group ride after all the riders have finished each time trial event. This will give you the ability to crush an 8 mile time trial and enjoy some good miles with a group after to make a morning out of it.